1 photograph; b & w; 4 x 2.5 in. A bird’s eye view of the settlement at Wembley. 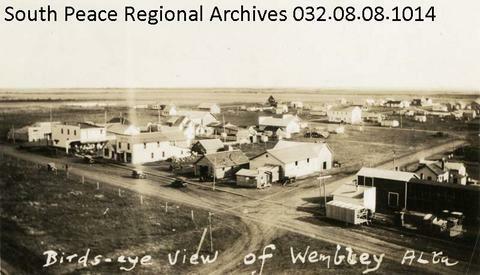 Many of the buildings were moved from Lake Saskatoon to the rail point at Wembley.